Material: 80% organic cotton/20% polyester OCS blended. 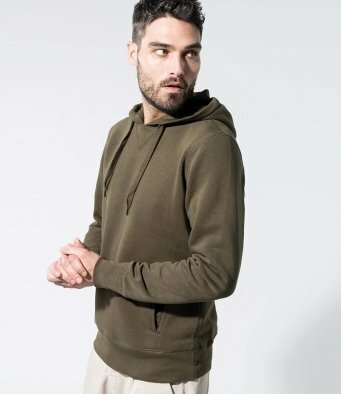 Double fabric hood with ribbed edge. Stitched V detail at front neck. Two front pockets with piping.